Aeroplanes are a convenient and efficient way to move people and goods. Over the past few decades, air travel has dramatically increased, reflecting both its wider accessibility and its efficiency to move people and goods. Today, more people are flying to holiday destinations or to visit friends and family, and air freight is largely accepted as the most efficient method for moving cargo. Reliable air links are extremely important to businesses, as they provide access to new markets and are an integral part of our overall transportation network. 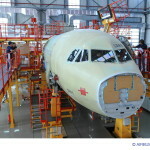 From an economic point of view, the aerospace and aviation sector is crucial for both the European Union (EU) and China. It drives economic growth, creates jobs and facilitates trade. Today the European aviation industry represents 26 per cent of the world’s market, contributing euro (EUR) 510 billion annually to Europe’s gross domestic product, and supporting 9.3 million jobs.1 As for China, its aviation sector has enjoyed exponential growth in recent years, and it is predicted that China will be the world’s largest aviation market by 2025. Both the aviation and the aerospace working groups were an integral part of the European Chamber since their founding in 2000. Since the merger of the two groups in 2015, the newly established Aviation and Aerospace Working Group has spoken with a unified and inclusive voice to increase both the quantity and quality of political-level dialogue and industry advocacy. The working group includes passenger and freight air carriers, as well as companies that manufacture a wide range of aerospace products, including civil aircraft, engines, helicopters, space systems and other products across the supply chain. It is also comprised of maintenance and service companies that carry out repairs, training, and other activities that support aviation and aerospace industries.